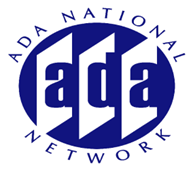 The ADA and ABA Accessibility Standards apply to a wide range of facilities in the public and private sectors and specify which elements and spaces must be accessible. This session will cover how the standards apply in new construction, alterations, and additions and review scoping requirements, general exceptions, and other provisions relevant to application. Examples of different types of facilities will be used to illustrate application of the standards.